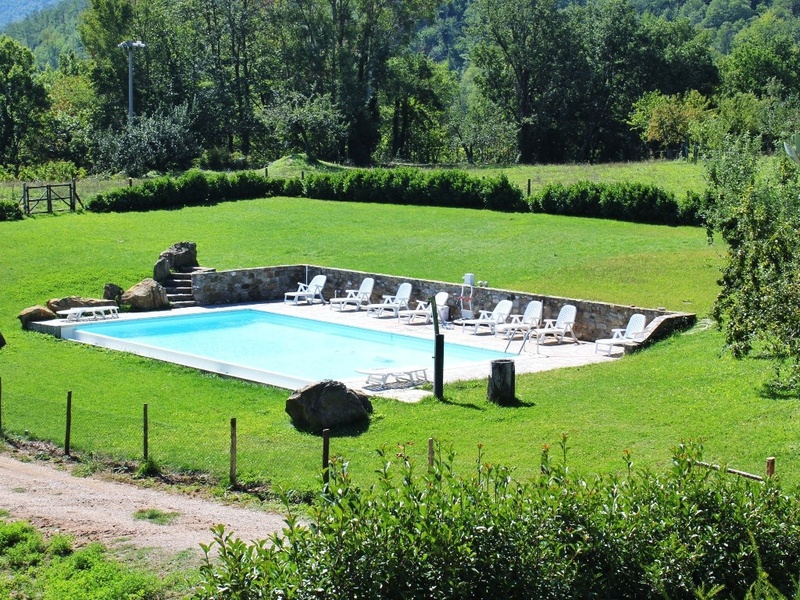 Monna is an ancient Tuscan farmhouse sitting in a completely unspoilt valley on the river Cecina. The property is on an active farming estate producing mainly corn. The highlights of Monna are undoubtedly the most charming 15x8 mt swimming pool, great breeze throughout the summer and very welcoming live-in hosts which make it a perfect base for a truly relaxing holiday in the land where the lemon tree blooms. At the same time, being Monna less than an hour away from Siena, Pisa and the wonderful Thyrrenean coast, Monna is a good base for exploring the 3 provinces. Monna offers its guests 2 independent apartments, a large open air BBQ and wood oven area for your parties and a playground for your children. The house is indeed particularly indicated for families with children and extended family reunions. La Quercia is an affordable farmhouse apartment in the Massa Marittima area; it sits on the first floor of the ancient farmhouse and develops over two floors. The first floor of this affordable holiday apartment in the Tuscan countryside is made up of a welcoming kitchen/dining room with a nice fireplace and a dining table sitting 8, a nice double bedroom with a full bathroom and a cosy little lounge with sofas, satellite tv and board games. The second floor has two double bedrooms, one with an extra bed on request. On this floor there is one full bathroom with shower. Outside the front door there is a lovely pergola with a small table and chairs. La Quercia farmhouse apartment holiday rental is only half an hour from Massa Marittima. Alloro is an affordable farmhouse holiday apartment in the massa Marittima area. 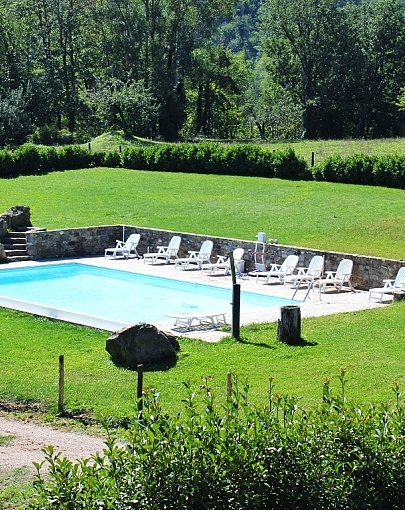 Alloro vacation rental is the smaller of 2 apartments at the larger holiday farmhouse called Agriturismo Monna, ideal for a family with two children/tenagers. It is a very cool and welcoming apartment and enjoys fantastic recovery from the sunshine in the bright and airy verandah converted from the original carriage deposit right outside the front door. The verandah is ideal for al fresco dining and relaxing in privacy on the comfortable wicker sofa and armachairs. L'Alloro affordable farmhouse holiday apartment has a fully fitted kitchen with oven, fridge/freezer, coffee maker, toaster, boiler. The apartment has a double a twin bedroom for a total of 4 beds. There is a full bathroom with shower, wc and bidet. farmhouse apartment holiday rental is only half an hour from Massa Marittima.